One of the unpleasant aspects of writing this daily blog is that I spend less time on reading the blogs of others. There is so much! I usual start at this page on Weirdomusic, and from there on I surf from link to link until my eyes and ears hurt. Today I ended up spending a few hours on recordrobot. I guess this is a famous blog, but I don’t know that. It is one of the best and most interesting musical blogs I have seen. 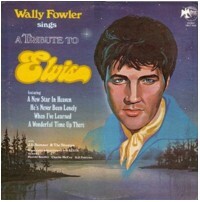 Among the many great things that are to be found on this blog, there were several Elvis tribute records. 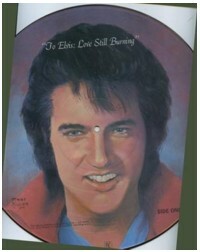 On one of them was this song, Candy bars for Elvis , by Barry Triffin. Since this is far better than what I had I mind to share with you today, I downloaded the song and share it with you. If you like it, there is much more like this on Record Robot!